The Classic Boards - Our masterpiece, Sonic 3 & Knuckles Remaster, is out! 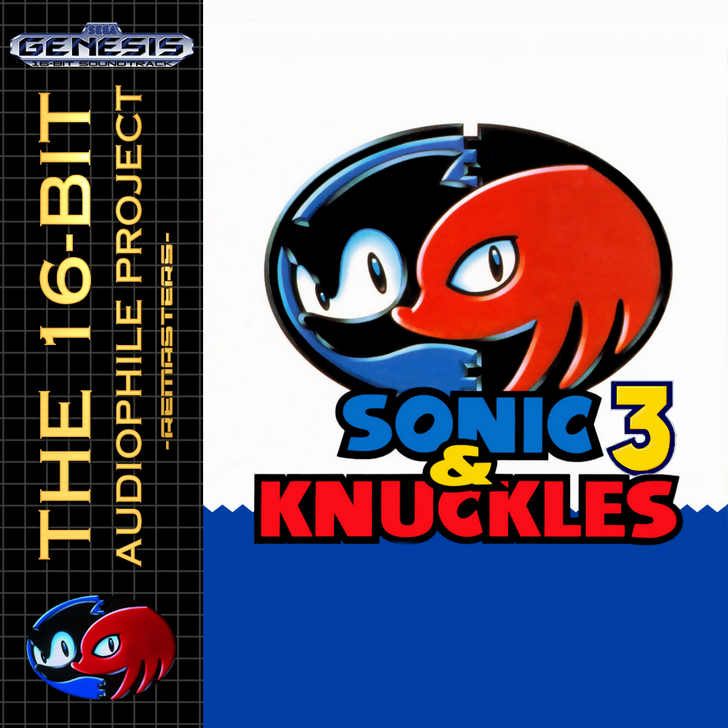 The Classic Boards > The 16-bit Audiophile Project > News > Our masterpiece, Sonic 3 & Knuckles Remaster, is out! Full Version: Our masterpiece, Sonic 3 & Knuckles Remaster, is out! After months and months of hard work, it's finally here. Now sit down, grab something to drink and bear with us as we'll guide you through this adventure which has lead us to the release of one of our most impressive work. Ever. You've probably noticed that the website is getting very few updates as of late, that's because I've been interacting with you through our Facebook page as it's more convenient for me, so if you haven't done already, make sure to follow us there to get all the latest news. For all of you who've been living under a rock for the last months, we announced that the Sonic 3 and Sonic & Knuckles Remasters were due and, thanks to your invaluable input, we have decided to make just a single, huge release for the entire Sonic 3 & Knuckles odyssey. The recording phase has been long and painful, as I decided to make this the most complete soundtrack of S3K ever and it shows: the complete soundtrack spans over 4 discs for a mind blowing total of 61 tracks. As far as I know, there are no releases whatsoever who come close to this. Despite the massive number of tracks, I didn't forget about our main goal: highest quality standards, 100% authentic sound. Thanks again to the help of the community, we've managed to make a tracklist which would pay respect to how the original game played while retaining an exceptional flow. Listening to this entire soundtrack is a true experience, a journey through incredible worlds were our lovely blue hedgehog speeds happily. While recording the soundtrack, I've been amazed to find out that there were some of the tracks which were mastered way more loudly than the others. An accurate listen has lead me to think that there were choices made during the making of those tracks which have really put them apart from the others. The dynamic range on those was much higher. As a result, I had to lower the recording volume otherwise those would end up clipping (even badly at some point) and distorting. Those tracks were both the Ice Cap Zones, and Mini Boss from Sonic 3. Now you can go on and speculate about those, I've just thrown this out because it really jumped at me during the recording process. It might be completely unaffiliated to the MJ involvement, so YMMV. Even without taking this into account, finding all the authors has proven to be quite a feat, but thanks to the support of some fans from our Facebook page and more extensive research on my part, I've managed to assign one or more authors to each track. Hopefully I didn't screw up! Finally, and here's one big news, I've decided to leave the Mediafire file sharing service and move onto Mega. After trying it out I must say that it's truly a wonderful service and, most importantly, it has the "Download folder as ZIP" feature which really makes my life easier. From now on, you'll just have to open the download link, right click the folder with the quality desired (9624 hi-res, FLAC or MP3) and choose "Download as ZIP" and you're done. The days of downloading each track separately or fiddling with 7zip chunks are now behind us. I really hope you'll enjoy this change. One last note: I really feel burned out. To re-record and re-do everything I even had to take a day off work to make sure everything was ready for Christmas. As a consequence, I'm taking a small break from the project and I'll be back in hopefully not more than a month. I'll still stick around, I check our Forums daily and reply to every thread I see. Same for our Facebook page and Twitter (links in the upper-right corner). If there's anything wrong with this release (and please, this one only), let me know and I'll try to sort it out ASAP. Now go and enjoy the Sonic 3 & Knuckles Remaster. You all deserve it. Click on the picture at the beginning of the post to be taken to the download page. ...and merry Christmas to all of you and your families and I wish you a fantastic, happy new year! Thank you so much for your work on this. It's incredible. To me there's no doubt that this is the greatest soundtrack in the Genesis library. I don't know if I've ever listened to this outside of playing the game before. This game came out when I was 12 and I wasn't a die-hard Michael Jackson fan yet, but even then I knew that zones 4,5, and 6 sounded really different. I didn't own an MJ album until I was in my 20's (it was Dangerous) and I immediately recognized that riff in Jam. The tracks in question are obviously the ones you have credited to the U.S. composers (zones 4-6, Knuckles, miniboss, and Sonic 3 end credits); the other music sounds nothing like his style. I think Jackson was more like a collaborator, not the lead composer. I read somewhere that he sent beatbox demos to Brad Buxer. Launch Base is iffy to me. I think it's the weakest of the U.S.-composed tracks. To me it doesn't have MJ's fingerprints all over it, other than more samples. End Credits is a beautiful song, and apparently it shares a chord progression with MJ's Stranger in Moscow. These songs sound very different to me--there's a lot more to a song than the chord progression. End Credits actually is a lot more complex than Stranger in Moscow. But it does sound a lot like something Michael might have beatboxed onto a demo tape. I think Michael composed it and revisited some elements of the song for Stranger in Moscow ... but they're different songs. Knuckles' theme is undoubtedly Michael. I saw a YouTube video where a guy laid Knuckles' theme over MJ's Ghosts and claimed they are related somehow. They're not--other than they both share MJ's unique percussive sound. The Knuckles track is taken straight from an MJ demo, I'm positive of it. I wish we had it--could you imagine? Finally, the track that is most undoubtedly an MJ song is Carnival Night. Even without the nearly-identical riff from Jam, it sounds exactly like what you'd expect a circus-themed song written by a post-Bad Michael Jackson to sound like. In fact, I think he would have gotten a big kick out of the fact that it was a circus-themed song. The 3 tracks I'd be confident in putting his name on would be Carnival Night, Knuckles' Theme, and End Credits. Whether he actually touched Ice Cap and Launch Base, or he'd already bailed and those were the ones Buxer and crew kept working on, I think he was losing interest at that point. When he (or Sega) decided it wasn't working out, for one reason or another, Buxer left with him, and the Japanese team took over. Anyway, I think the unique composer dynamic really makes this a strong and varied soundtrack. (I love the tracks composed by the Japanese team too, especially Hydrocity) I'm so glad we have this awesome version, and I even love the work you've done in identifying the composer credits. Thanks so much! Thanks for another great release.